The sold out stage play in Broadway and across the USA is set to debut and making its way in the Philippines as they premiere with a new production here in Manila before its debut in London’s West End in 2019 and in Australia in 2020. Waitress will opens on November 9 at the Carlos P. Romulo Auditorium, RCBC Plaza, Makati City. 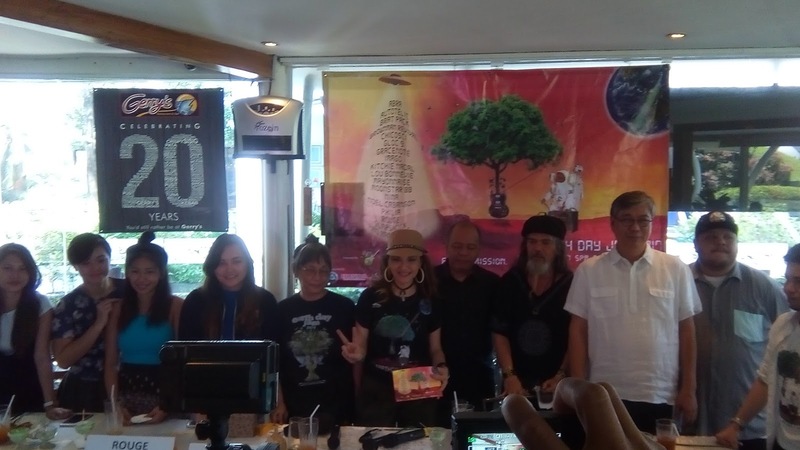 Earthday Jam, the longest running and biggest environmental music tribute in the history of the Philippines and in the world will blast its way to Rizal Park (Luneta) on April 28. 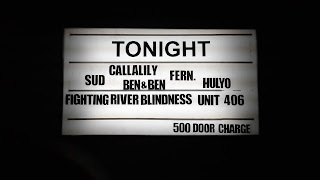 Now its 17th year, the music festival shows no sign of slowing down and is ably supported by an array of the country's popular and alternative bands and artists. Tanghalang Pilipino has assembled some of the most revered names in the arts industry for its fantastic, highly-entertaining staging of “Pangarap Sa Isang Gabi Ng Gitnang Tag-Araw,” an adaptation of William Shakespeare’s “A Midsummer Night’s Dream.” The list of heavyweights include famed film director Carlitos Siguion-Reyna. 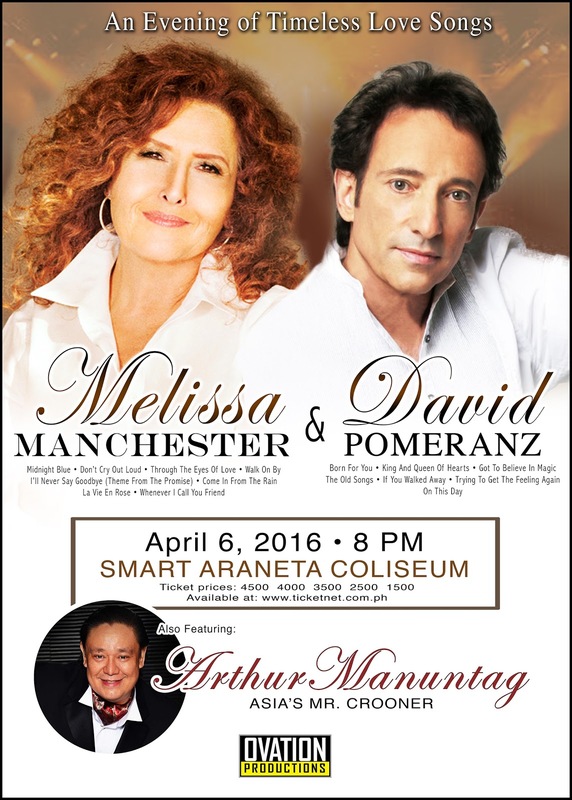 Music lovers will be in for a wonderful and entertaining treat from two of the biggest names in adult contemporary music when Melissa Manchester and David Pomeranz visit Manila to do a back-to-back concert on April 6 at the Smart Araneta Coliseum in Cubao, Quezon City. Dubbed “Melissa Manchester, David Pomeranz Live,” the twinbill from Ovation Productions shall also feature balladeer “Asia’s Mr. Crooner” Arthur Manuntag as special guest in what is considered as one of the biggest concert events in this summer’s musical calendar. 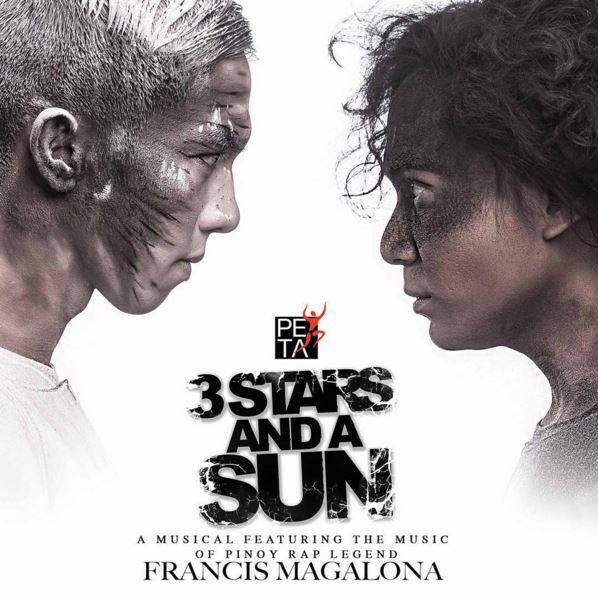 3 Stars And A Sun: A Musical Featuring The Music of Francis M.
Year 2026 saw the rapid worldwide decline of natural resources, the massive extinction of many plants and animals, and increasingly unlivable weather conditions, triggering political and social tensions that soon exploded into World War III. In the years before the upheaval, a man called Pancho started building The Stormdome, a giant steel dome that can fit a handful of cities and can withstand intense heat, force, and pressure—a shelter from severe nuclear bombings. Many dismissed The Stormdome as foolish; yet many more chose to seek sanctuary under it. Pancho laid down his life to protect a great number of people by sealing The Stormdome from the outside. Megaworld Lifestyle Malls and Eastwood City are welcoming the New Year with a spectacular and star-studded party that will have revelers partying from sunset up until the early hours of 2016. 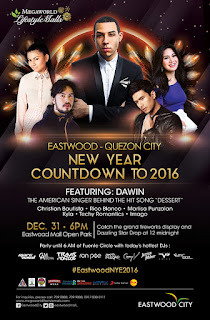 One of the most highly-anticipated New Year events in the country, this year’s Eastwood Quezon City New Year Countdown to 2016 is taking the festivities to a whole new different level as it lines up dazzling spectacles, spectacular performances from the today’s brightest music stars and the best party music from the hottest Djs in town in what can easily be one of the grandest and longest New Year parties in the Metro. Pinoy Pride Jessica Sanchez will be here in Manila on December 12 for a private gig. 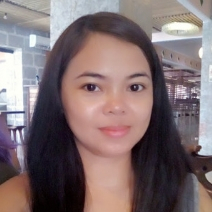 However, she has a fresh off the grill news that will definitely excite the Pinoy Fans know as BluJaysPH because she recently released her first ever Christmas EP aptly titled "Christmas with Jessica". The 6 song EP kicks off with Santa Baby, Jingle bells and Joy To The World, while showcasing Jessica's powerful vocals on beautiful songs like Silent Night, and Ave Maria. Singer-actress-TV host Karylle received a Gold Record Award for her latest album “K” yesterday, December 4, during the live episode of “It’s Showtime.” PolyEast Records’ Managing Director Jesmon Chua presented the award. 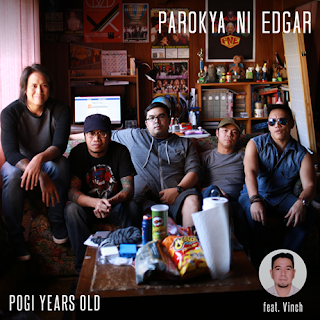 The album includes the hit singles “Sa ‘Yo Na Lang Ako,” “Kiss You,” “Kapiling Kita,” among others. 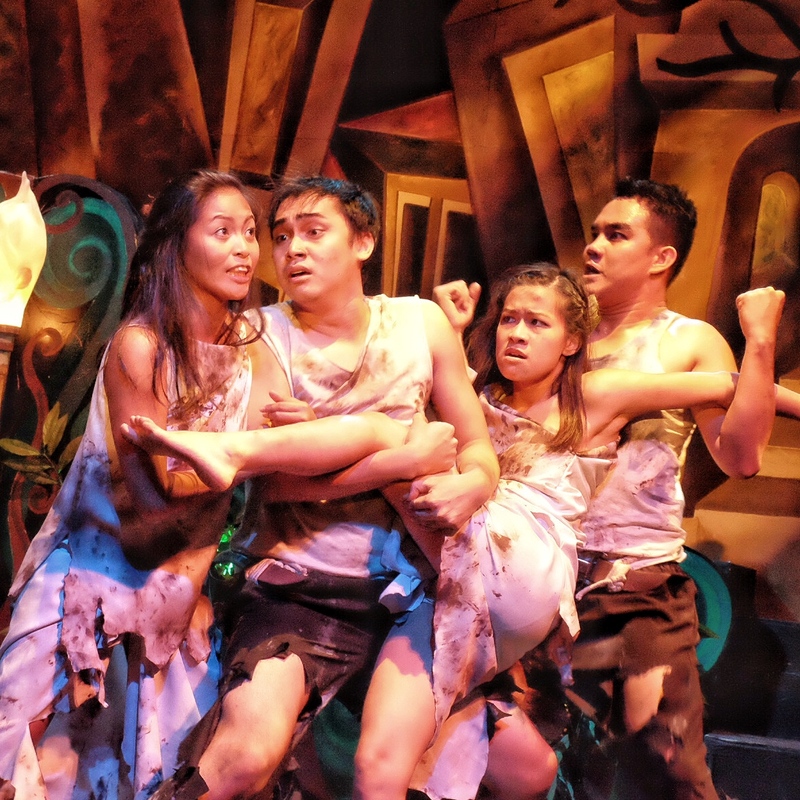 Amazing arts and music combine together to give a spectacular show at the Megaworld Lifestyle Malls as they bring the Ice Beat Factory live in Manila for the first time! The multimedia performers from LA, California will be enthralling shoppers and guest at Megaworld Lifestyle Malls this Holiday season with their breathtaking performances. 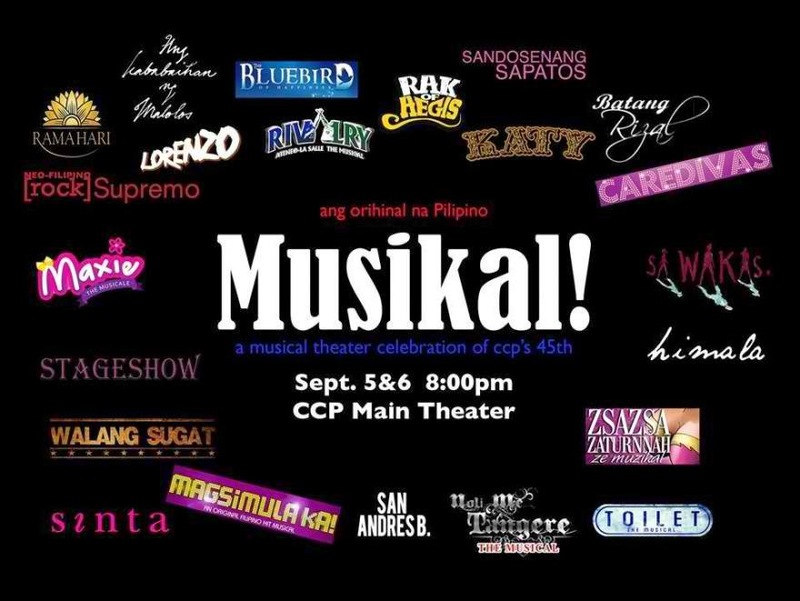 In celebration of the Cultural Center of the Philippines’ 45th anniversary, around 200 theater actors performed for what may be called the “biggest gathering of theater superstars” in history – “Musikal,” held last Friday (September 5) and Saturday (September 6) at the Cultural Center of the Philippines. Last Sunday, August 17, 2014 at the hard Rock Café in Makati City, Hannah Nolasco launches her debut album with carrier single, Peksman. 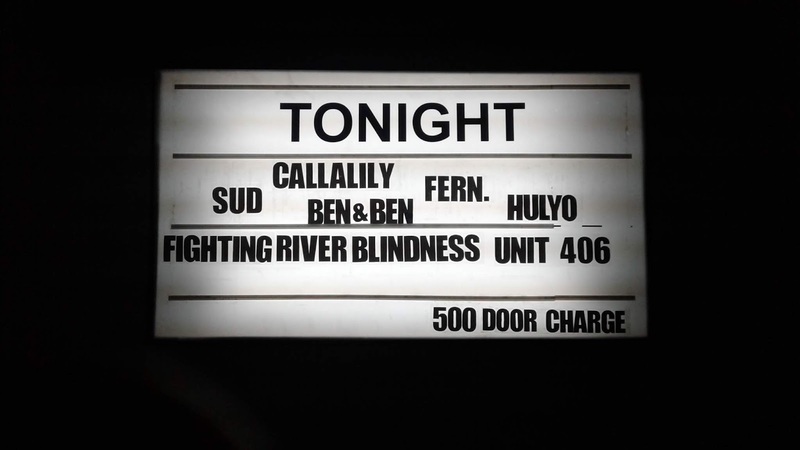 The album titled, Hannah Nolasco – The Rising Star is a collection of twelve (12) Original Pilipino Music.